The BBE Pro sparring gloves are manufactured from leather for superior durability and a great feel. These weighted gloves are fitted with zipped pocket inserts in cuff to add 4 x 2oz weights per glove and come with 8 x 2oz (56.7g) weights. The injection moulded shock absorbent foam padding inserts provide consistent size and density, whereas the elasticated wrap around wrist support guarantees additional comfort and safety. The gloves feature double stitched seams for extra durability, an inner palm finger grip bar, as well as an anti-bacterial and anti-slip sweat absorbing lining. 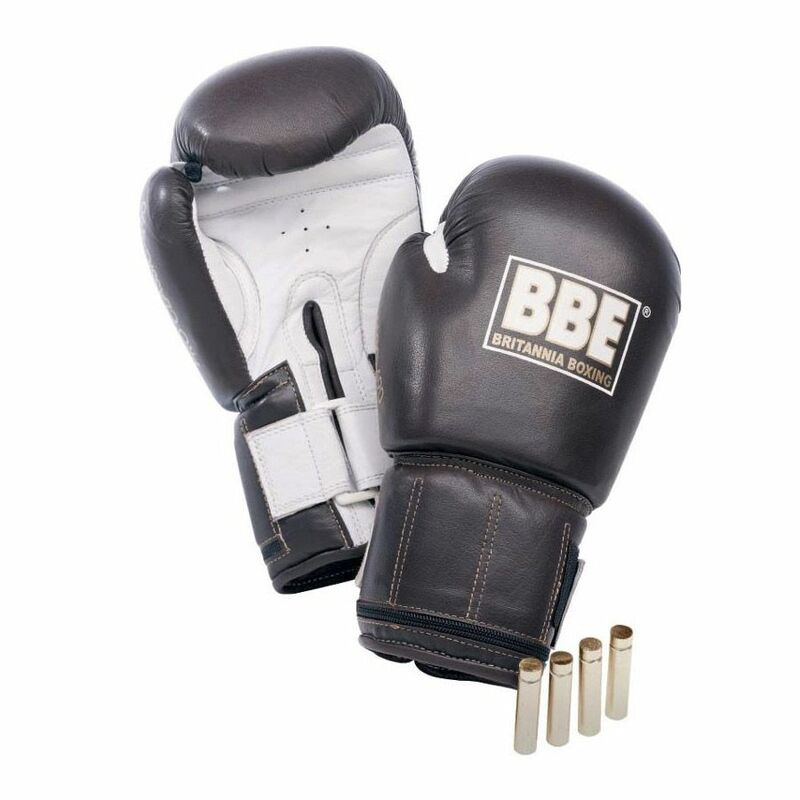 for submitting product review about BBE Pro Leather Weighted Sparring Gloves.